Raspberry Pi enthusiasts or anyone interested in creating their very own smart home alarm system for less than $50. You may be interested in a new tutorial which has been published to the hackster.io website by Made by Naran Inc. The DIY Alarm system can be easily made using the components and devices which you can easily find in your house, says its creator and uses Internet of Things technologies to help notify you if anything looks out of place. 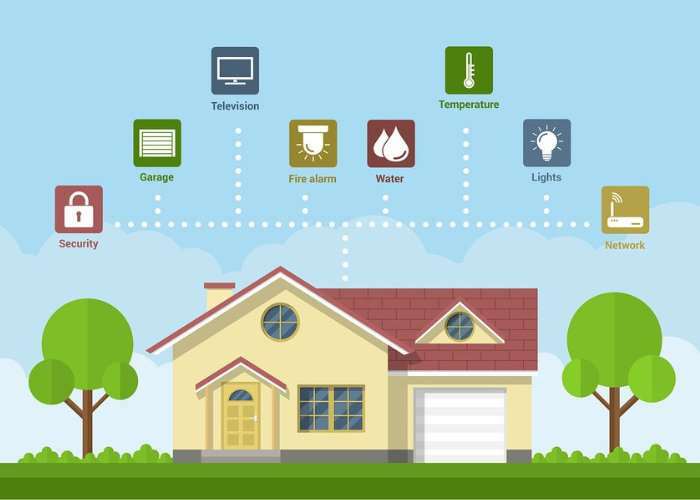 The Internet of Things has made it easier than ever to set up a smart home in which you can remotely control your door locks, lawnmowers, lights, thermostats, vacuums, and even pet feeders, using your smartphone and an app. It’s also made it very easy (and relatively affordable) to monitor your home from just about anywhere with a smart security system. Depending on your needs you can go with a system that you monitor yourself, or pay a subscription fee to have your home surveilled 24/7 by professionals who will contact your local fire and police departments when alarms are triggered. Of course, the more coverage you have the more you can expect to pay. Smart security systems are highly customizable and are available as full-blown setups that include professional installation and monitoring. But they all come at a very steep and high price (more than 100$ to up to thousands of dollars) But today we wanna offer you to find a way to build and secure your precious stuff or house in a more easy and cost effective way. This DIY Alarm system can be easily made using the components and devices which you can easily find in your house or can buy from your electronic store at a very cheap price. Inexpensive yet effective system. Remotely monitor and protect your home or get notified for any movement in your house instantly. And the best part, you can have all this in less than 50$! For full instructions on how to create your very own Internet of Things smart home alarm system jump over to the hackster.io website by following the link below. If you enjoy building Pi projects you might be interested in our comprehensive list of Raspberry Pi displays, HATS and small screens.